mad orange fools: I do like poinsettias. My dad always buys my mom the most gorgeous poinsettias for the holidays. So very red and lovely. My funny little poinsettias didn't bloom until the spring. I don't know what they'll do this season. One has a few red leaves, but it's not really in bloom. They're just confused. 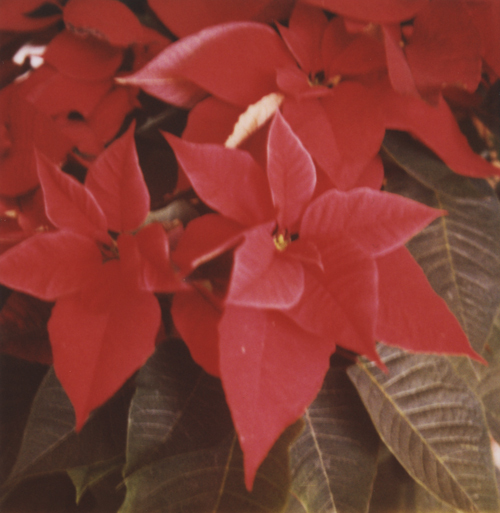 the poinsettia picture you sent me for christmas one year is one of my favorite pieces of art. I can't wait to paint the parlor and give it a proper place of honor!